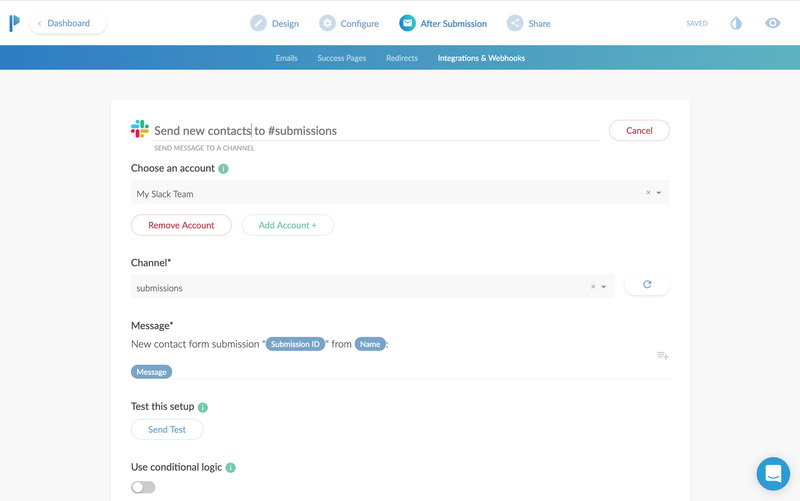 It's easy to connect your Paperform forms with Slack, so that you can keep up to date with your latest submissions. With the Paperform Direct Integration, you can connect directly to Slack to post new messages or reminders when your Paperform forms are submitted. Click the Slack icon, and choose the desired action from the list of actions. Follow the prompts to connect your account, choose the relevant channel / message, and write the message. 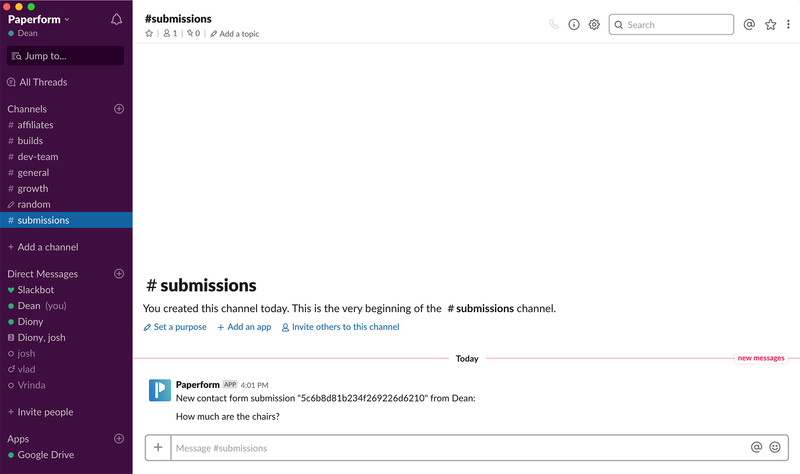 Setting up a message to be sent to a specific channel in Slack. An example of the above setup in action. As well as the Paperform Direct Integration outlined above, you can also connect to Slack with Zapier or Integromat.